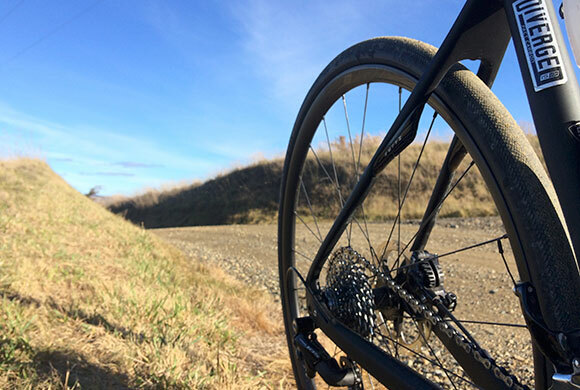 An inland highway connects Dunedin to north Otago, leaving a network of quiet backroad climbs and endless gravel roads making perfect days out on the bike. It's cold, but wonderful riding in stunning coastal hill country with a succession of fine coffee stops to keep you going. 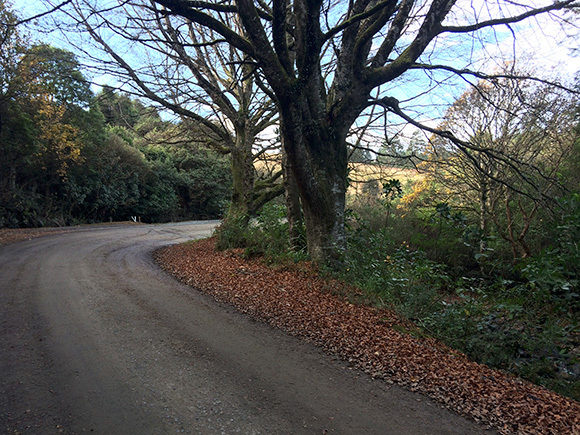 An old route out of Dunedin runs up the Leith valley on tarmac then gravel up to the shoulder of Mount Martin, past Sullivans Dam and old farmsteads. 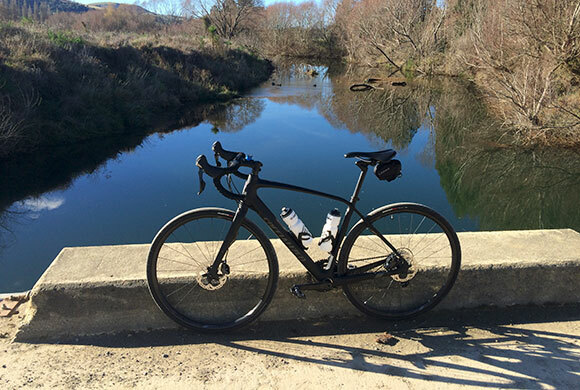 After a death-defying crossing of the SH1 main route between Dunedin and Christchurch, 350km north, you can enjoy one of the finest gravel descents in NZ, through the lovely Waitati valley, until you reach the right turn at Miller Road. Cross SH1 again, and take the brief but stiff climb up Donalds Hill road before turning left and descending Mount Cargill Road to Waitati village. From the village, it's worth the 3km detour to the east end of Doctors Point Road - it's a dead end, but a beautiful, usually deserted beach on the edge of a tidal lagoon. Retrace your steps to the village and take Mount Cargill road south out of the village, but avoid Shortcut road as it's ludicrously steep; where Shortcut road rejoins Mount Cargill Road, turn left onto Blueskin Road. 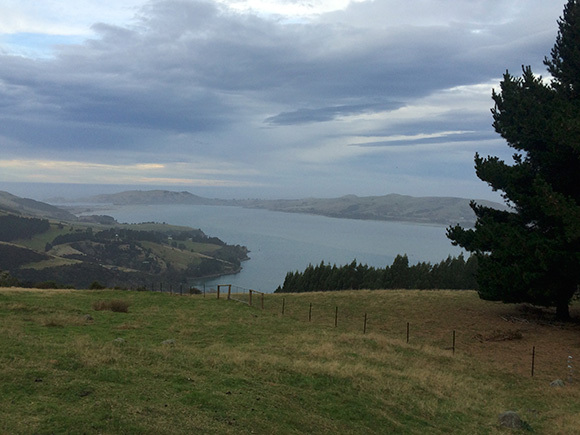 Blueskin road is a gorgeous climb over the spine of the peninsula back to the inner side of Otago harbour. Near the top is an excellent coffee shop at the Orokonui wildlife sanctuary. It also has a very good heater. Once you have thawed out, the descent down to Port Chalmers is a screamer. 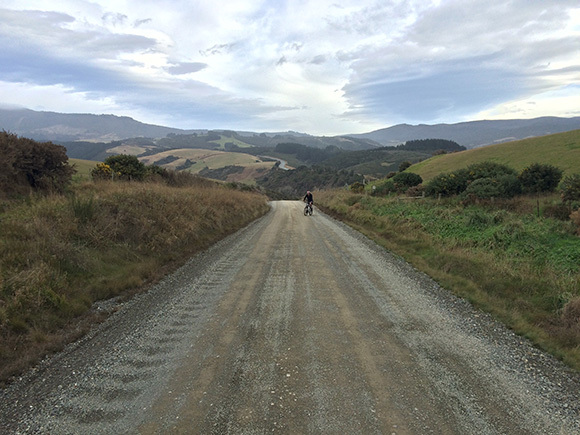 Ride back to Dunedin via the coastal cycle path. 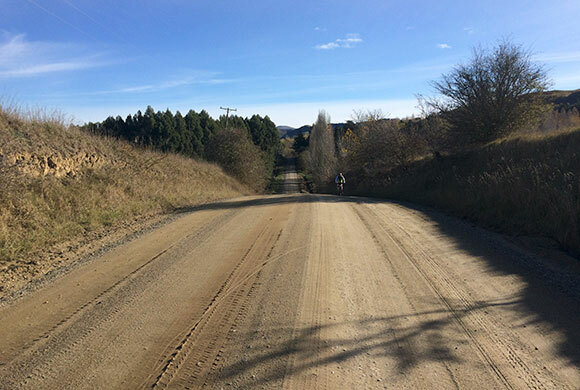 This 45 km loop takes in some of the excellent gravel roads on the Otago Coast north of Blueskin Bay, around the coastal villages of Karitane and Waikouaiti. 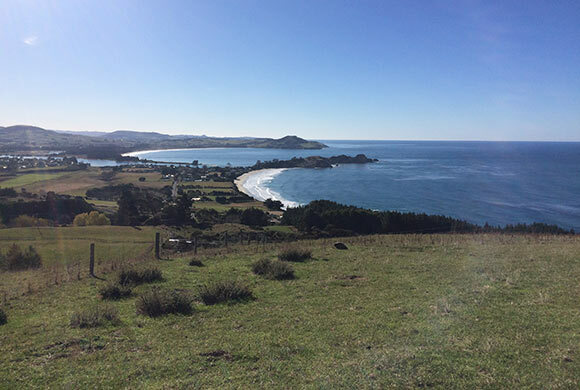 The mapped route starts off by climbing south out of Karitane to a famous local viewpoint which gives great views over the village (images of this route are in the gallery sidebar to the right). The route then descends to the farmland inland of Karitane and follows Apes, Round Hill, Merton Station and Coast Roads out to the highway. Turn left (south) onto SH1 and follow it uphill for 200m to the Evansdale cheese factory at Cherry Farm (a former lunatic asylum); turn right and ride through the complex to McGrath Road. If you are on a morning ride note that the organic butcher does excellent if unusual bacon sandwiches. McGrath Road crosses the Waikouaiti River at a particularly pretty spot, then climbs unforgivingly up to the junction with Ramrock road; the left turn here goes to Bucklands Crossing 4km away with an excellent swimming hole further up the Waikouaiti. This spot is recommended in summer only. 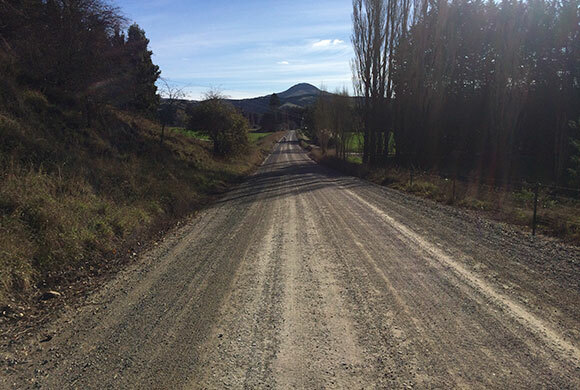 Following Ramrock Road past the Crossing gives an adventurous ride via Nenthorn to Middlemarch at the start of the Otago Central Rail Trail. It's epic. 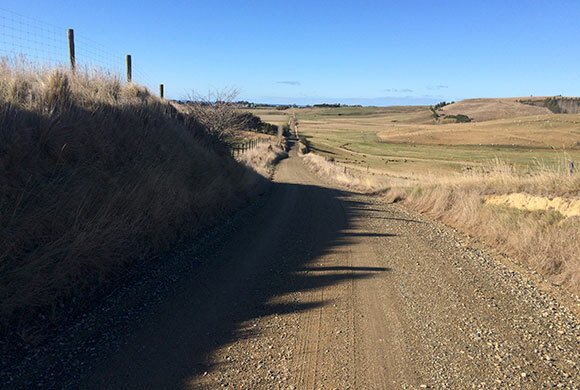 For today, turn right onto Ramrock Road and follow it east over undulating gravel to Waikouaiti; just shy of the village take the gravel road on your left (north) - this is Quarry Road. Follow it all the way to Flag Swamp, then turn right and climb Flag Swamp Road south back toward Waikouaiti. Cut onto Hawksbury Bush Road which leads up to the highway; turn left and ride for 200m, then turn right onto a bizarre-looking hill road (until recently, this was the highway), and follow that back to Waikouaiti. The village has an excellent and very friendly coffee shop to thaw out in; the quickest way back to Karitane from here is a full-on blast down SH1 south to the Karitane Coast Road. 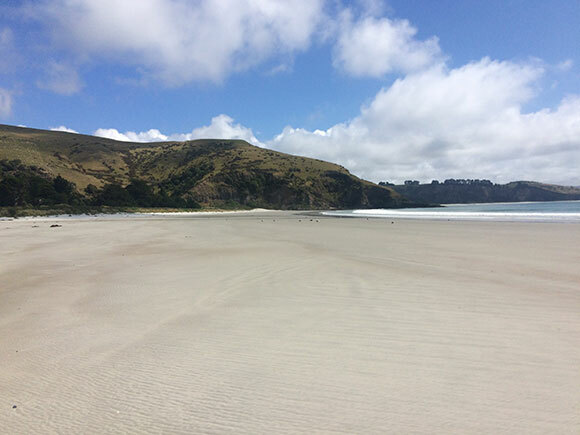 Finally, a long-anticipated trip to the beach north of Dunedin where William Tucker had his date with destiny. 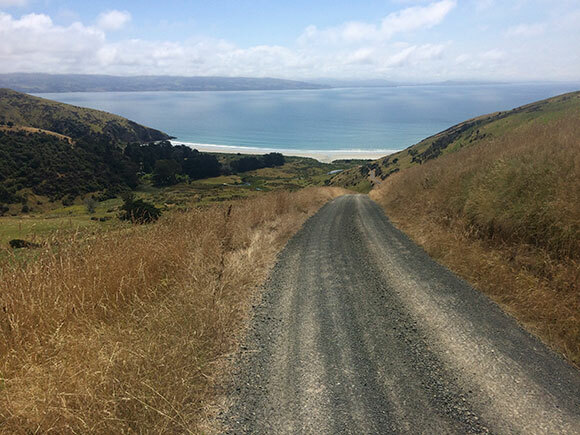 Whareakeake is reached by gravel roads from the sealed road between Port Chalmers and Waitati. Take the Purakaunui turn off, roughly at the top of the hill about 1.5km south of the Orakaunui visitor centre, east toward Heyward Point. 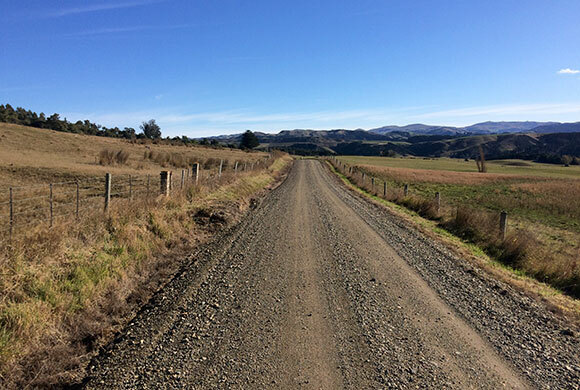 The gravel road has stunning views to take your mind off how lumpy it is. 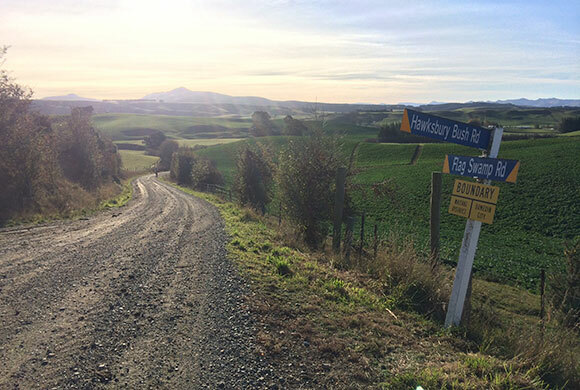 The turn-off for Whareakeake is signposted - a steep gravel dry-weather road. The beach itself is a beautiful, north-facing, unspoilt strip of sand, perfect for swimming. The climb back out of Whareakeake is long and steep - there's no other way out of here. On this spot, the crew of the Sophia had their encounter with Karaka. Excellent spot.